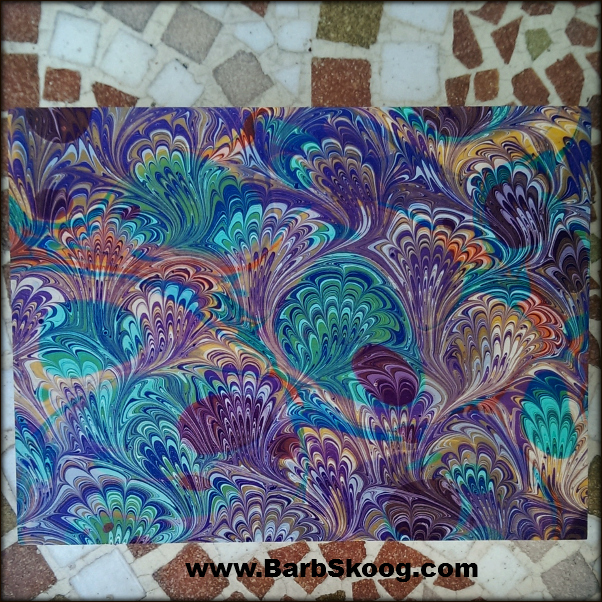 I have to thank my wonderful marbling friend Sue Cole who turned me on to Golden's High Flow acrylics. Though there are a few tricks to working with them (they spread like mad...don't work with them in a tank smaller than 20x25), they work straight out of the bottle, no thinning necessary. I especially loved the florescents, as seen here in these overmarbled wood panels. 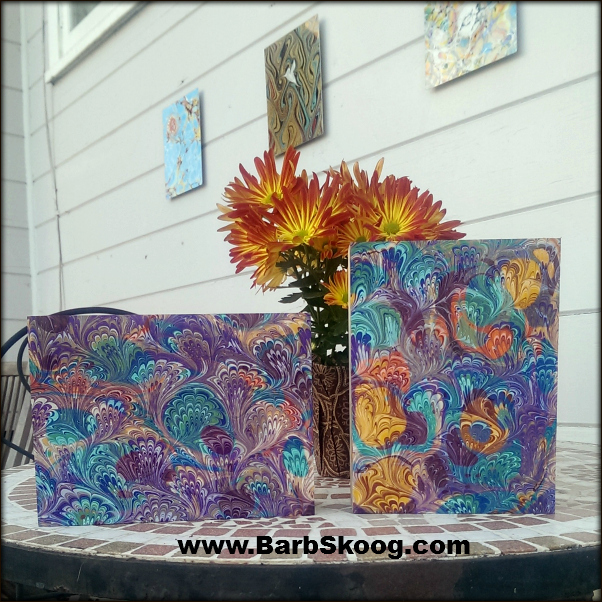 I marbled a traditional bouquet pattern in regular paints over a stone pattern in the High Flow acrylics. Just another fun adventure in Marble Land.